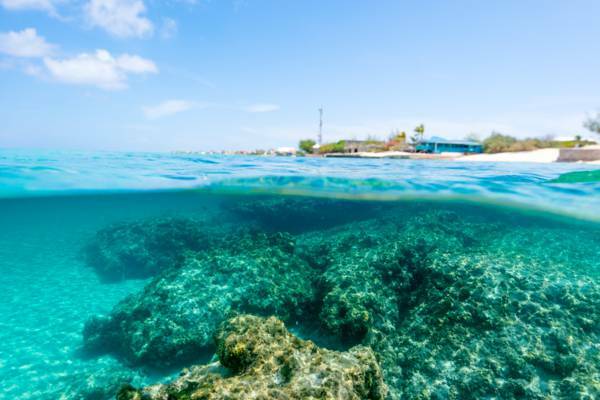 Although Grand Turk has some of the best diving in the world, the excellent reefs tend to be a bit too far from the shore and just out of depth to really be great for snorkelling. The west and northwest sides of the island probably offer the best locations for snorkelling from the beach. Several of the dive and tour operators offer short boats trips to better snorkelling areas off shore and near Gibbs Cay. The beautiful little reef off of Boaby Rock Point. 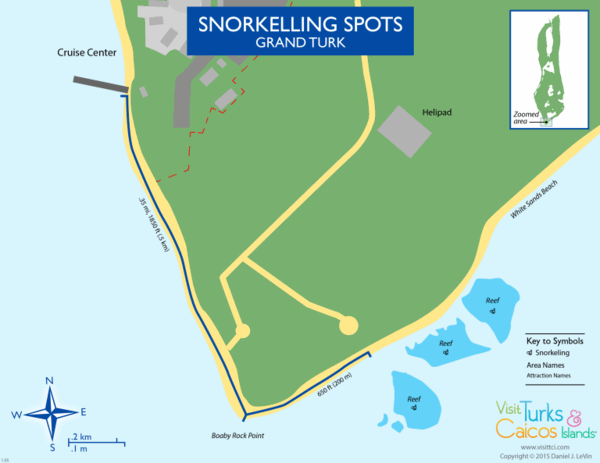 Unlike the other main islands in the Turks and Caicos, Grand Turk doesn’t have many excellent beach snorkelling sites. Vibrant and impressive reefs surround the island, but these are either too deep to be great for snorkelling or are too far offshore to safely swim out to. If you're a qualified scuba diver, consider taking a dive trip to some of Grand Turk's excellent dive sites and the wall. Rocky patches can be found off of many of the main beaches, but these really don’t offer more than small numbers of reef fish. 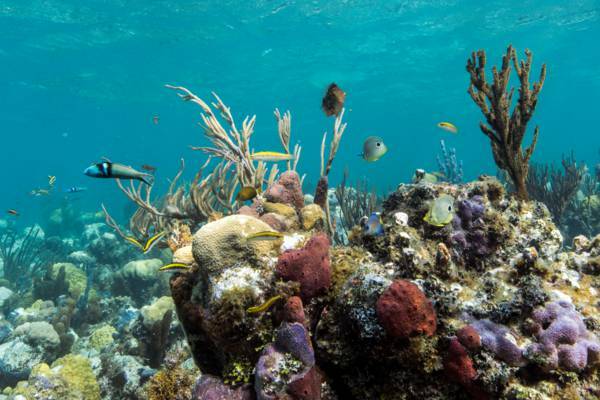 You likely won’t see the coral, sea fans, larger fish and sea creatures common to the vibrant Turks and Caicos reefs. Snorkel From The Beach or Take a Snorkelling Boat Cruise? Unfortunately, cruise ship guests typically do not have the time to do more than one of the organized activities, shore excursions or tours offered through their cruise line. As explained on our Guide for Cruise Visitors page, it’s best if you decide before you land what activities you want to do. If you want to see some of the sights of the island, visit the beaches and spend a little time snorkelling, we highly recommend that you rent a vehicle and plan your own day instead of taking an organized tour or cruise. If snorkelling is your sole interest, book a snorkelling cruise (or a combination Gibbs Cay and snorkelling cruise). Free usage of snorkelling gear is provided on most boat excursions. However, be advised that the quality and conditions vary. If you own equipment, ensure that you bring it with you. Old coral shelves off of Cockburn Town Beach. If the ocean conditions are calm, Boaby Rock Point offers the nicest beach snorkelling site on the island. 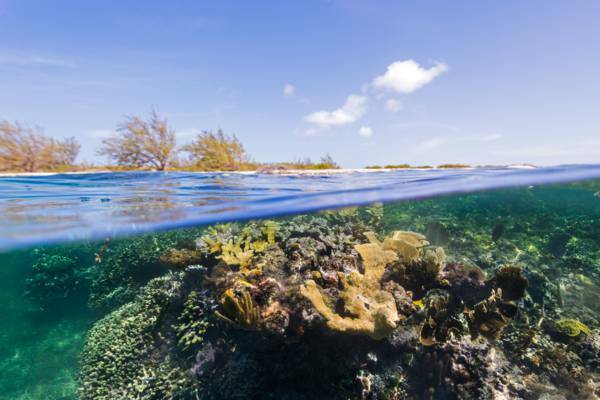 If you can tolerate the vast amounts of seaweed and flotsam on the beach, you’ll be rewarded with a really beautiful reef in shallow water. 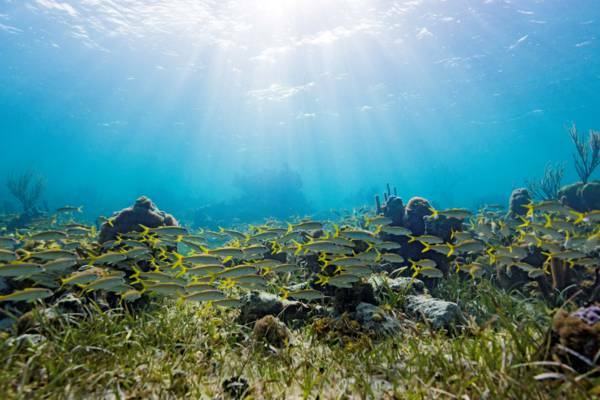 Lush sea grass surrounds the site, and fish, coral and sea fans abound. Due to being on the east coast of the island, this beach is exposed to the constant east-southeast trade winds and can be choppy at times. Simply due to the ease of access and (and because it’s also an incredible beach) Governor's Beach is the most popular “snorkelling site”. Here, rocks from an old jetty can be found close off the beach. A few red sea fans and some small reef fish are the main sights. Cockburn Town Beach and English Point have ancient coral shelf and gulley formations near to the shore in many places. These can be fun to explore, but there’s very little sea life. To the north, Pillory Beach also offers old coral formations and features, but the variety and abundance of life parallels what is seen at the other west coast beach sites. Wrasse and butterfly fish on a vibrant reef. 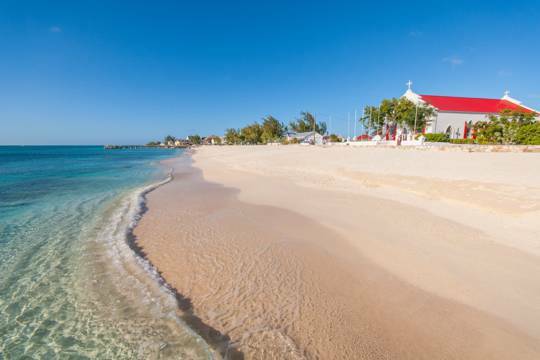 The Turks and Caicos is surrounded by warm and clear ocean water teeming with marine life. There’s plenty of colourful tropical fish to see at both shore reefs and in the deeper water. Every type of fish has its own favoured terrain. Parrotfish, angelfish, squirrelfish, grouper and snapper like to cruise close to the reef. Tiny wrasse, butterflyfish and damselfish are highly territorial of their coral heads. Above sheltered reefs, schools of French grunts, blue tangs, and goatfish are common. In the deeper water, schools typically consist of yellowtail and horse-eye jacks. Larger sea creatures such as barracudas, turtles, stingrays and sharks tend to enjoy a wider range. It’s very easy to overlook small and interesting creatures. Lobsters, cowrie snails, prawns and flamboyant marine snails can be seen on almost any reef in the country. A visit to Gibbs Cay with allow for an all-too-rare close-up encounter with wild sea life. The masters of camouflage are fascinating as well. Peacock flounders, scorpionfish and the elusive octopus are common to the islands yet are rarely see. Many mistakenly identify corals with plants, yet they actually are classified as animals. Hard and soft corals, sea fans and sponges are abundant. There a quite a few uniquely-shaped fish and molluscs to spot. 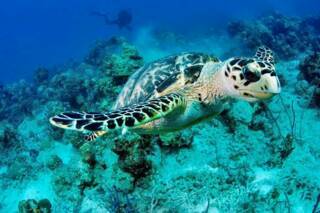 Squids, cuttlefish, trumpetfish, lionfish and porcupinefish are present in the Turks and Caicos throughout the year. A tiny island off the east coast of Grand Turk, Gibbs Cay offers a unique underwater experience. 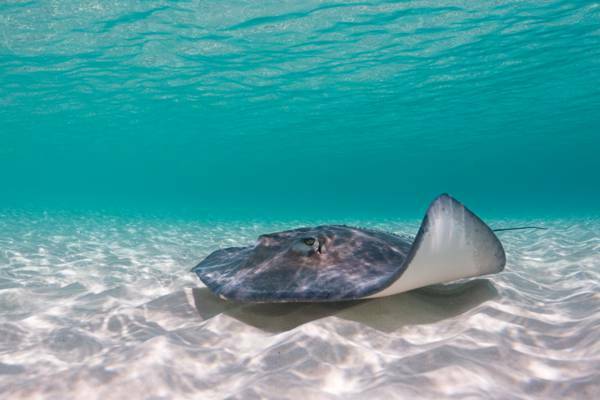 Flocks of southern brown stingrays, quite used to human visitors, swim up to any boats landing at the shallow water of the cay. It’s possible to snorkel with these majestic sea creatures and see them close-up in their natural environment. Although there’s not much actual reef, the rocky patches off the coastline here offer interesting underwater sights. Access is easy and free. Shallow rocky shoals can be found close off the coast here. Typically overlooked by most visitors, you’ll have a bit more seclusion here. 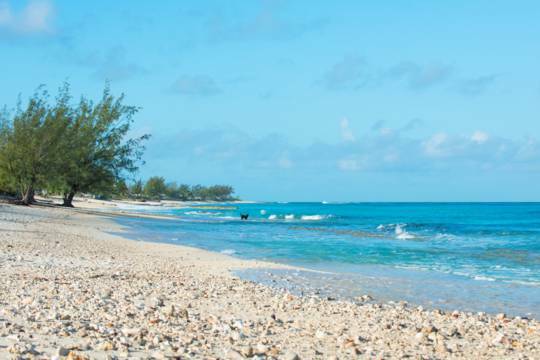 The south point of Grand Turk and close to the Cruise Center, Boaby Rock Point has a small reef found close off the beach 900 feet from the point. A school of yellow goatfish. Don't snorkel alone. We recommend snorkelling as part of a group. Know your physical limitations. Wear a snorkelling vest (it provides additional buoyancy). Many different types of coral, fish and small sea creatures can cause stings if touched. Do not touch anything on the reef. Make sure not to brush anything with your flippers or gear. Don’t heavily coat yourself with sun screen or other lotions before snorkelling. Chemicals and oils will kill the reef. A decent selection of snorkel masks and gear are available on Grand Turk. It's better to visit one of the many dive shops (mostly located on Front Street in Cockburn Town), rather than the gift shops. Some of the vacation villas and hotels include snorkel gear, and most of the dive shops and dive resorts rent gear. 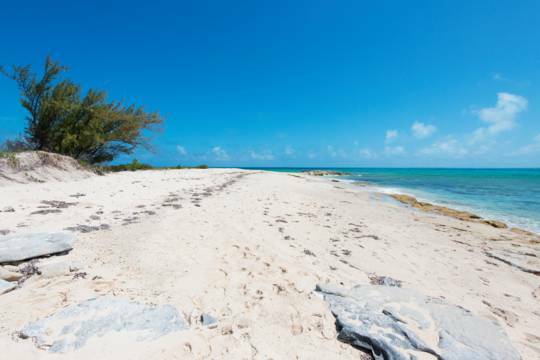 Discover incredible secluded beaches, pristine reefs, and the breath-taking water of the Turks and Caicos with Deep Blue Charters. We’ll help plan the perfect private and small group adventure for you. There’s so much to experience! Last reviewed by an editor on 19 February 2019.